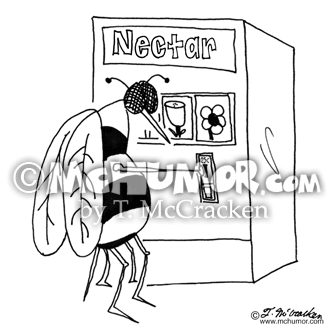 Bee Cartoon 6491: A bee buys nectar from a vending machine. 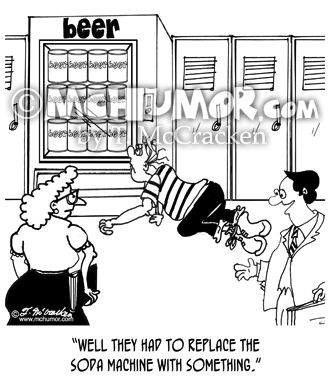 Beer Cartoon 8068: A teacher looking at a beer vending machine and a student crawling towards it says, “Well they had to replace the soda machine with something." 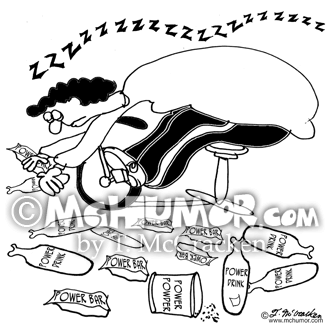 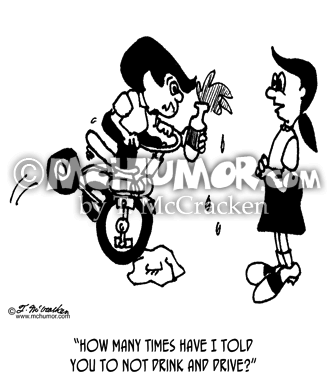 Energy Cartoon 8097: A women sound asleep on her exercise bike clutches an energy bar while the floor is littered with empty energy drinks, energy bars, and energy powder containers. 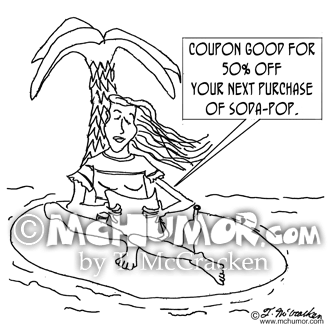 Soda Cartoon 0208: A woman on desert island reads a note in bottle, "Coupon good for 50% off your next purchase of soda-pop." 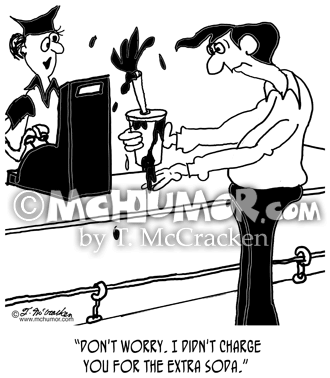 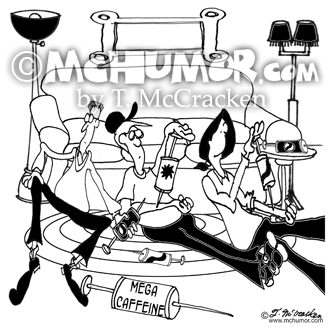 Caffeine Cartoon 8054: Teenagers with needles stuck in their arms attached to soda and hi-energy caffeine drink cans.